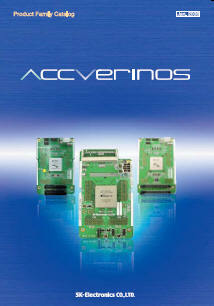 The Accverinos® product Family catalog may be downloaded from here. · The external appearance, specification, etc., of this product may change without notice due to quality improvements. · The company names and product names shown are the trademarks or registered trademarks of each company.